When Sony Pictures announced that they would be introducing a solo film adaption to the famed Spider-Man villain Venom in May of 2017, they were met with excited responses. Ever since his meager introduction to the big screen in “Spider-Man 3” in 2007, fans have been eager to see a more accurate representation of the character. Now that the film is actually out, the reception from critics and fans alike has been mixed, to say the least. Tom Hardy of “Mad Max: Fury Road” fame plays Eddie Brock, an investigative journalist who becomes infected by an alien symbiote called Venom. Making a solo movie about a popular Spider-Man villain without the presence of Spider-Man himself was a risky bet, but Sony Pictures would not let up. Throughout the course of the film, I had a hard time coming to a general consensus about its’ quality, as it drastically wavers as it goes on. If there was one word I could use to describe Venom’s plot structure, it would be inconsistent. The movie fluctuates wildly between being incomprehensible and being tolerable. At times, I felt bad for the elderly attendees in the audience who just picked a random movie to watch on a Thursday night, with no prior knowledge of the Spider-Man universe. The movie cannot decide which genre it wants to be. It wants to be a buddy cop flick, horror movie, investigative drama, and superhero movie all at once. It succeeds at none of them. From scene to scene, the tone is so inconsistent it could’ve given me whiplash. We often cut from a goofy scene of Eddie Brock in a convenience store to boring science mumbo jumbo that is in no way pertinent to the plot. The only mildly compelling part of the movie is the performances by Tom Hardy and Michelle Williams. Even though you can’t understand Hardy’s slurred accent at times, he is easily the best part of the film. Hardy and Williams are both extremely seasoned actors and seem to have a large awareness of the kind of movie they’re in. They know that Venom is goofy, and they play into that as best they can. And, yes, there is a scene in which Eddie Brock makes out with a female Venom. 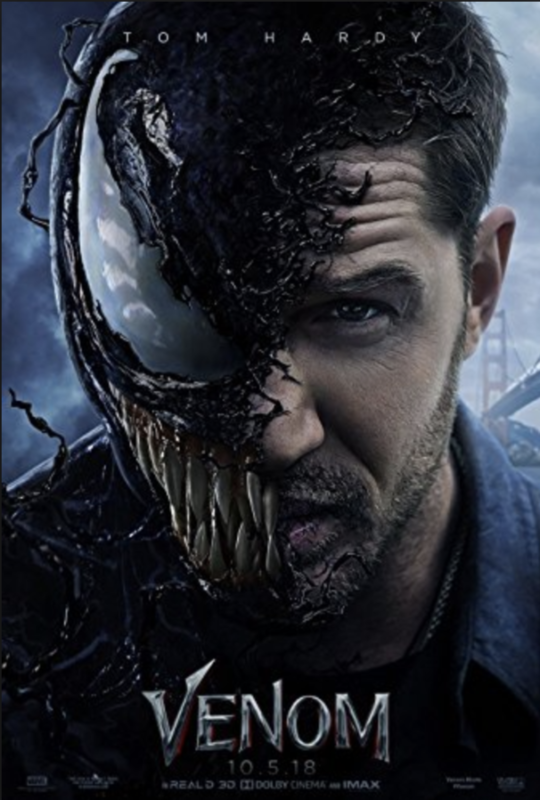 All in all, Venom seems like a film leapt straight from 2008. The overall structure, or lack thereof, seems ancient enough to be comparable to “Batman & Robin”. When you can tell that director Ruben Fleischer obviously drew inspiration from “The Incredible Hulk”, which many people claim to be one of the worst superhero movies of its’ time, it’s bound to be a commercial flop.